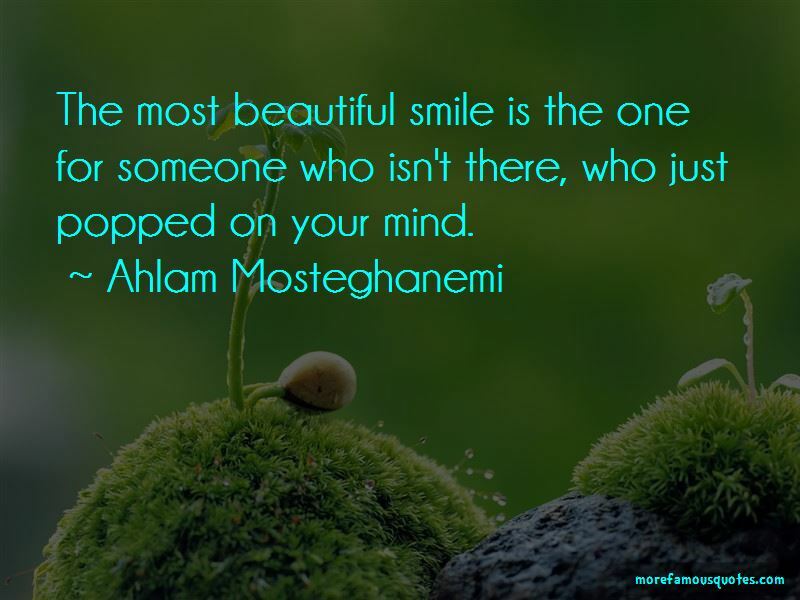 Enjoy the top 11 famous quotes, sayings and quotations by Ahlam Mosteghanemi. 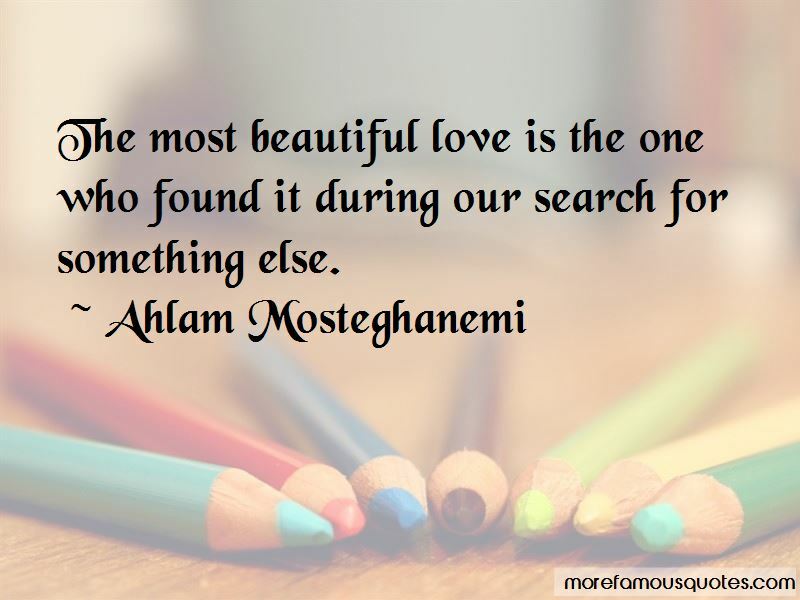 The most beautiful love is the one who found it during our search for something else. It is far easier for us to accept the death of someone we love than to cope with the idea of losing him and discovering that he is able to carry on with his life, in all its intricacies, despite our absence. “People? They usually ask only stupid questions, forcing you to reply with equally stupid answers. For instance, they ask you what you do, not what you would have liked to do. They ask you what you own, not what you've lost. They ask about the woman you married, not about the one you love. About your name, but not if it suits you. They ask your age, but not how well you've lived those years. They ask about the city you live in, not about the city that lives in you. And they ask if you pray, not if you fear God. “No one stays for you. 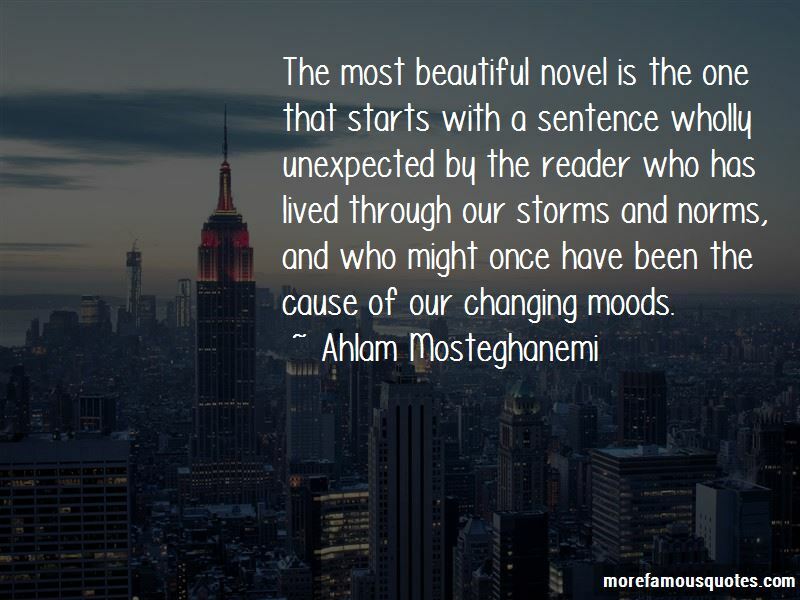 Want to see more pictures of Ahlam Mosteghanemi quotes? 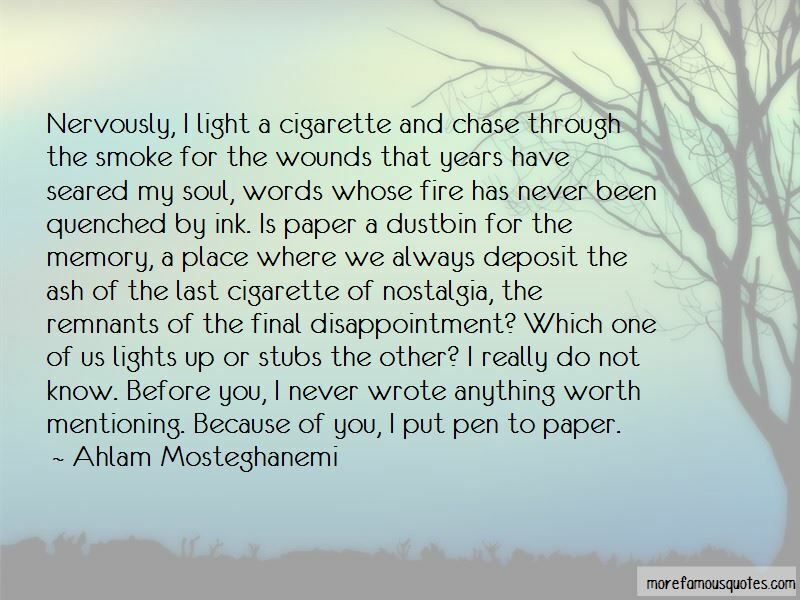 Click on image of Ahlam Mosteghanemi quotes to view full size.